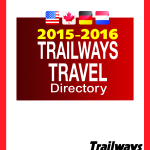 September 28, 2015 – Fairfax, VA – The Trailways Transportation System announces the publication of its 2015-2016 Trailways Group Travel Directory. It is designed to promote Trailways’ 70+ bus companies to group bus-trip planners and consumers. It is a printed directory as well as a digital directory. The printed publication and the digital version are used by Trailways’ sales & marketing team to promote all Trailways companies to group travel planners and consumers. We send the digital link to our customer database to download. It is an easy reference list of our network of transportation providers. Hard copies of the new directory are available by request as well and distributed throughout the year on an ongoing basis. 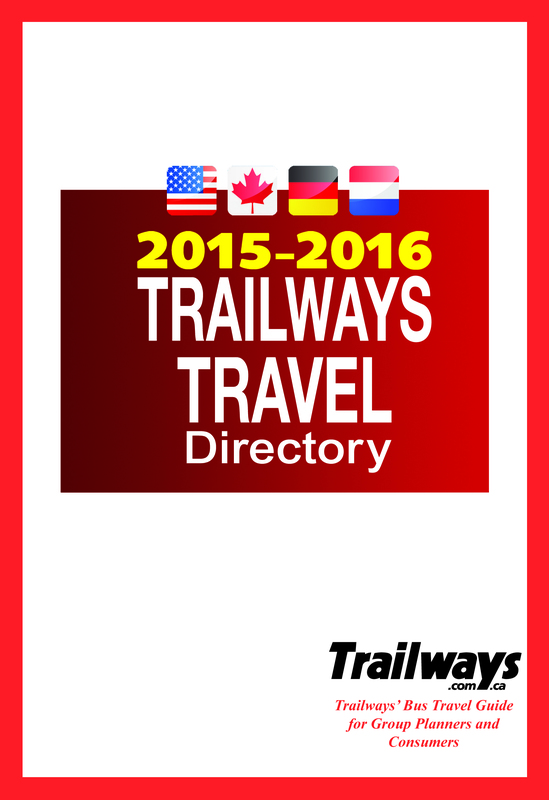 This is the second time the directory has been developed for Trailways by Naylor Publishing. Trailways invites a few of our long-time partners to participate in a contest and help us develop (create artwork) for a Trailways 80th Anniversary Logo to be used from November 2015 through 2016. We’ve attached a few generic concepts we’ve seen from other entities who have also reached this historic milestone—they are simply ideas that might help you get your creative flair juices flowing! Trailways was founded during the Art Deco period (1930s) and has successfully traveled throughout the 20th Century into the 21st Century; eighty years of continued service to the traveling public all while building, expanding and strengthening its strong, iconic brand! If your company’s logo concept is selected, we will provide your company with a complimentary year’s affiliation with Trailways (affiliated partner membership) and a free ½ page Color Ad in the 2016 issue of Trailways Stockholder Times. Trailways’ lettering (accepted colors) can be Red (PMS 032), Black, Gray (any percentage) and Reverse, which is actually White Lettering on any background color. It is not necessary to include the “Globe” icon to create a Trailways’ 80th Anniversary Logo. Trailways’ 80th Anniversary Logo Contest submission deadline is October 31, 2015. The winning entry will be used on letterhead, the website, sticker seals, promotions, publications, etc., and the winning company will be recognized throughout our 80th Anniversary. RSVP: Please reply YES or NO by Oct. 12th. If you should have any questions, please feel free to contact Gale Ellsworth at 703-691-3052/Trailways or by email (Galetrails@trailways.com).